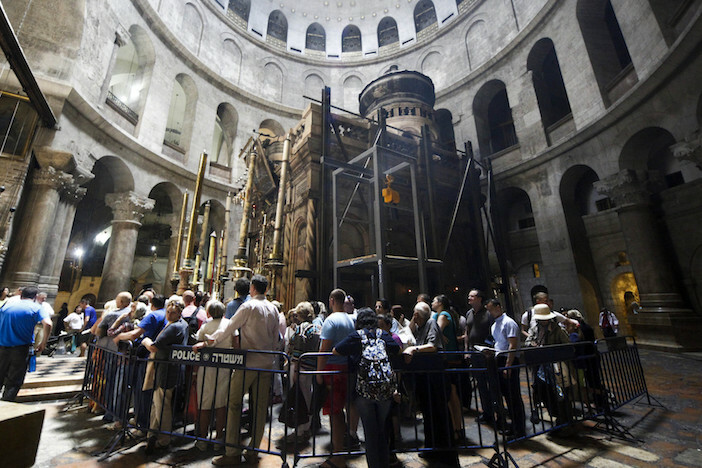 Renovation experts have finally begun working on badly-needed structural improvements and critical fixes at the site where Christians believe Jesus was buried. 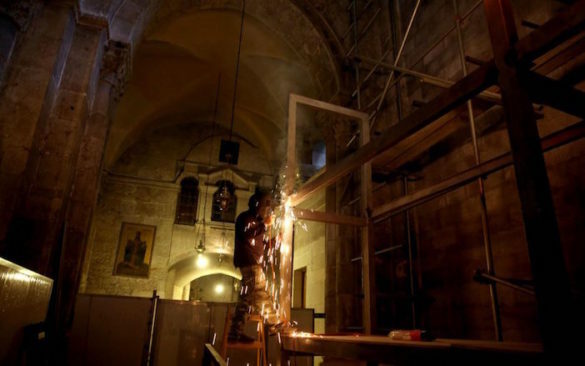 The Church of the Holy Sepulcher in Jerusalem— a pilgrimage site for hundreds of thousands of Christians annually from throughout the world and perhaps Christianity’s most sacred site, was last renovated over 200 years ago after a fire. 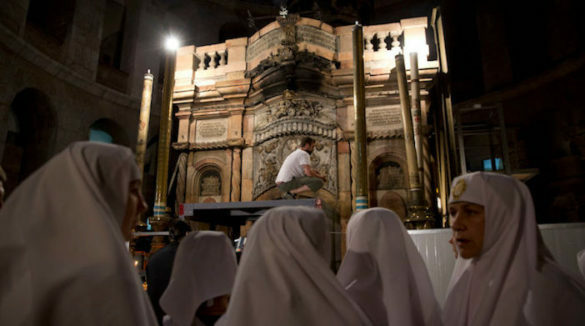 Since then, the three Christian denominations which control the site haven’t agreed to details of a renovation and over the centuries, wax, candle smoke and moisture from the breath of thousands of humans visiting the site daily has led to serious damage. 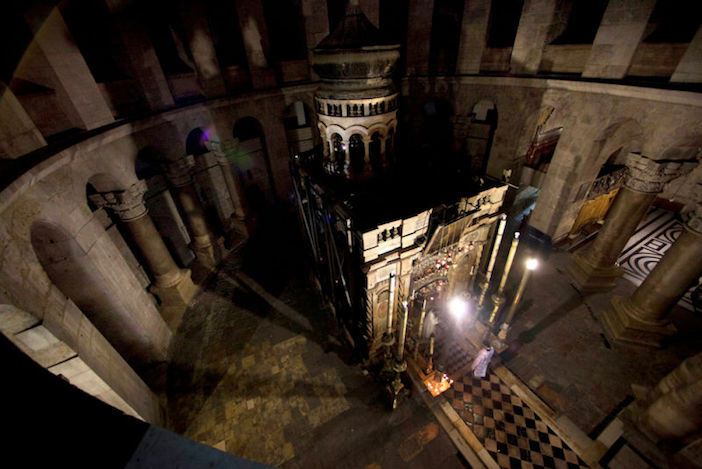 The Greek Orthodox, Roman Catholic and Armenian Churches share responsibility for the church and relations between the three have been complicated at best— and violent at worst, with fist fights even breaking out during solemn services or even something as mundane as which denomination sweeps which part of the floor. Work is expected to take between eight and 12 months and during that time pilgrims will be able to continue visiting the site, church officials said. 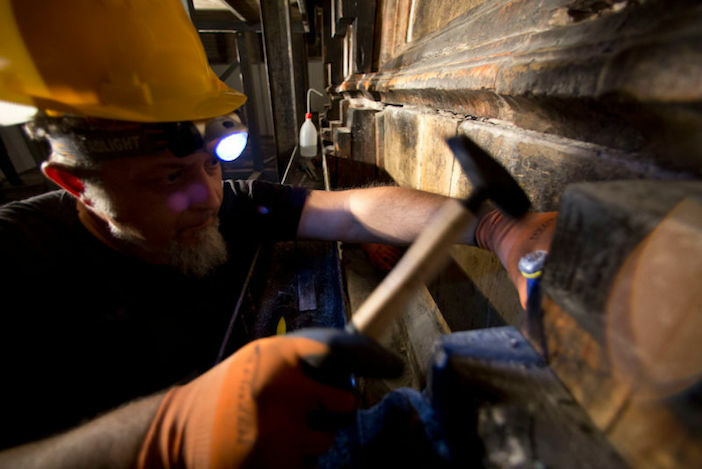 The $3.3 million restoration is being funded by a personal donation by King Abdullah of Jordan. 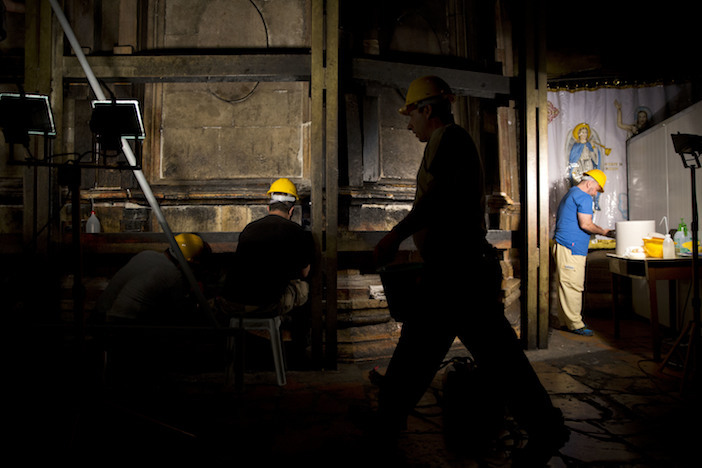 Edicule, the ancient chamber housing Jesus's tomb is being repaired. 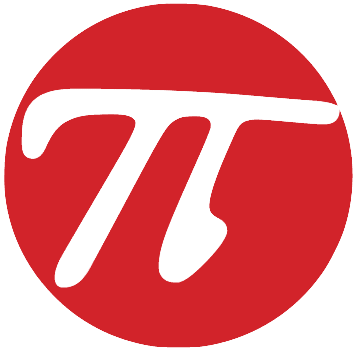 Christian pilgrims will still be able to visit the site. 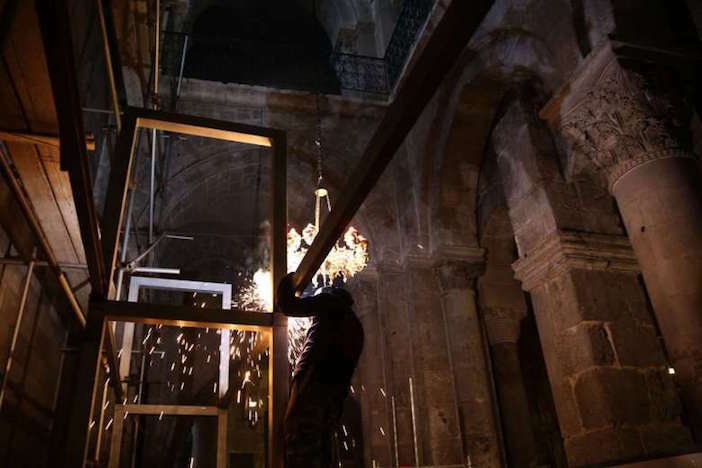 Fights between rival Christians during services inside the church. 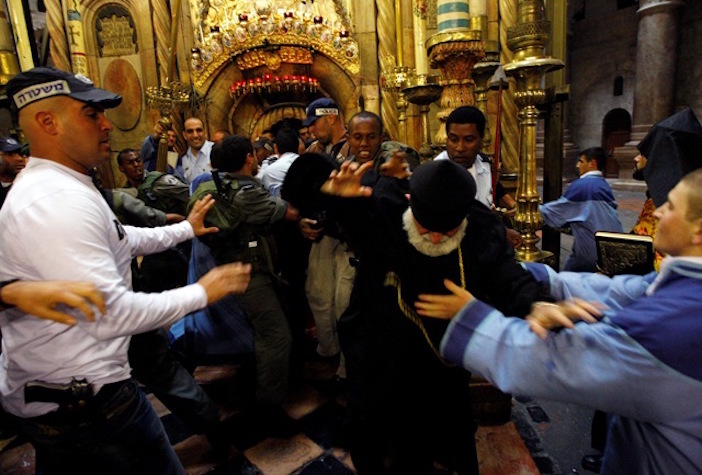 Israeli policemen scuffle with an Armenian altar boy during a fight between Armenian clergy men and Greek Orthodox monks.